The Harry Potter franchise is back with Fantastic Beasts and Where to Find Them, so it’s high time that Gill, Robin, and TK take a look at the entire movie series. On this episode they look at everything from Harry Potter and the Philosopher’s Stone (not the “Sorceror’s Stone,” America!) to the stageplay-sequel Harry Potter and the Cursed Child, and try to determine if there’s a more annoying character than Dobby. Click here to download the episode! Gill, Robin, and TK all love Kurt Russell, and they’re not afraid to admit it! On this episode, the guys discuss their favourite Kurt Russell films as they go over the filmography of a man who has been acting since he was eleven years old and is still going strong. Click here to download the episode! After a lengthy hiatus due to technical issues, Shouts From the Back Row returns with our annual Halloween episode! As is the tradition, Gill, Robin, and TK have each selected a horror movie that their fellow podcasters hadn’t seen before. Now, everyone has watched the selected films, and it’s time to review them! This time, TK has chosen Dr. Jekyll and Mr. Hyde, a silent adaptation of the Robert Louis Stevenson story from 1920, Robin picked the Larry Cohen cult movie God Told Me To from 1976, and Gill picked three episodes of the 2011 TV series Black Mirror, which has been called The Twilight Zone of modern science fiction. So enjoy one last bit of Halloween spirit before the season is over, and click here to download the episode! The Magnificent Seven is out in theatres, and it seems as though, once again, Hollywood is trying to make the Western genre into a viable moneymaker. Will they succeed? On this episode of Shouts From the Back Row, Gill, Robin, and TK discuss the Western genre and talk about their favourite Westerns. Click here to download the episode! It’s been 17 years since The Blair Witch Project shocked audiences, created a cultural phenomenon, and popularized a style of low-budget horror filmmaking that we’re still seeing today. And now, after all this time, there’s another Blair Witch movie, which means that there has never been a better time for Gill, Robin, and TK to discuss the entire Blair Witch franchise. Click here to download the episode! Are you as sick of remakes as we are? On this episode of Shouts From the Back Row, Gill, Robin, and TK discuss the state of the remake. Are people lining up for remakes of classic movies like Ben-Hur or The Magnificent Seven? What kind of movies make the best remakes? Has there ever even been a good remake? Click here to download the episode! It is with a heavy heart that we bid farewell to another beloved actor, as Gene Wilder has passed away at the age of 83. Wilder was a bit of an enigma, having mostly withdrawn from acting in the late 90’s, but although his filmography is short, he gave life to two of the most iconic cinematic roles of all time: Willy Wonka and Dr. Frankenstein (the one from Mel Brooks’ Young Frankenstein). Clearly Wilder was a man of quality over quantity, and so on this podcast Gill, Robin, and TK go through Wilder’s career, discuss their favourite Gene Wilder movies, and confess that there are a lot of his films that they still need to watch. Click here to download the episode! Shouts From the Back Row is another year older, and the guys are celebrating by taking part in the tradition that they follow for every podcast milestone. Gill, Robin, and TK have each selected a movie that their fellow podcasters hadn’t seen, everyone watched the movies, and now they’re going to review them! 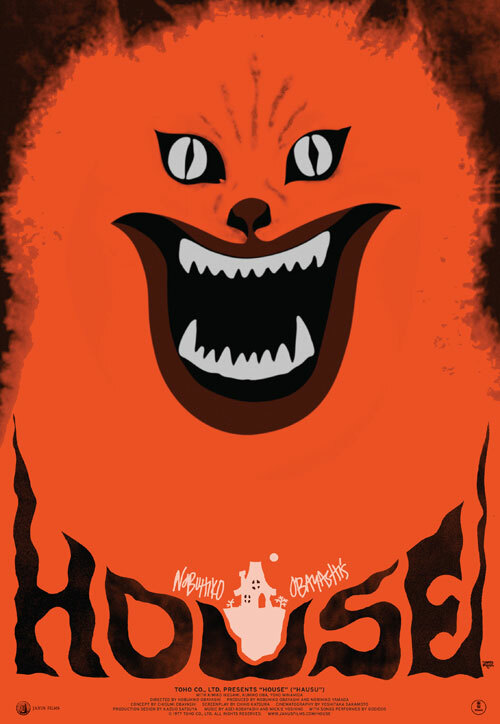 This time they’re looking at the psychedelic ghost movie House (Hausu), the indie dramedy The Skeleton Twins, and the true crime documentary West of Memphis. Click here to download the episode! 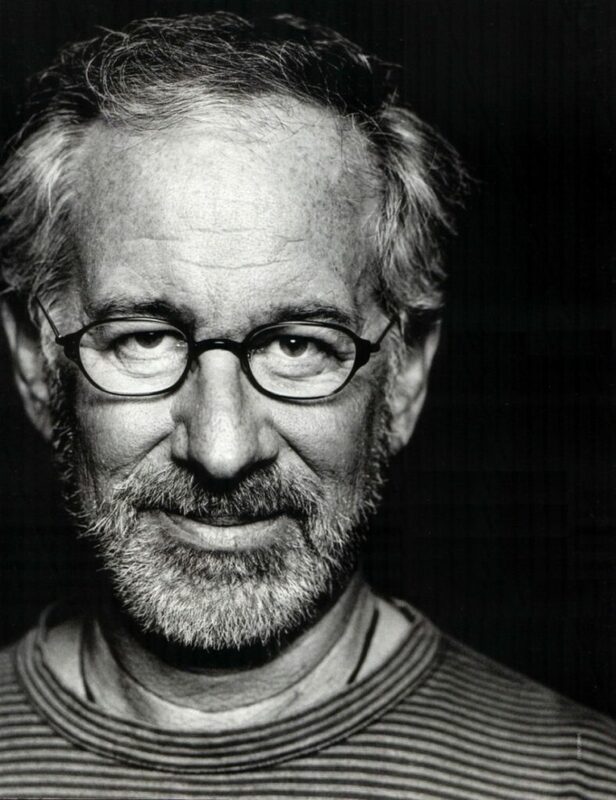 Shouts From the Back Row returns to tackle one of the giants of cinema: Steven Spielberg. What can you possible say about someone whose career is so interwoven with the very fabric of today’s cinematic landscape? Find out as Gill, Robin, and TK struggle to overcome technical difficulties to touch upon everything Spielberg. Click here to download the episode! 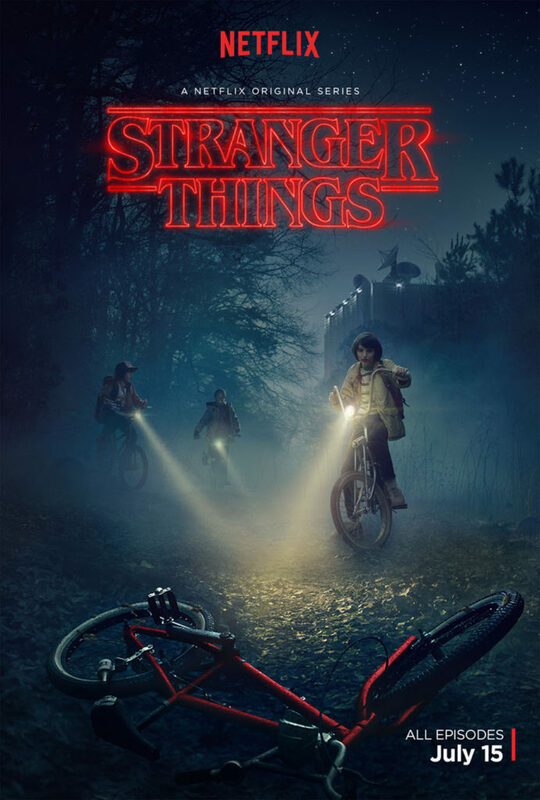 One part Steven Spielberg, one part Stephen King, one part John Carpenter, with a dash of Wes Craven, Stranger Things is a love letter to the movies of the 1980’s and Netflix’s new series lit up the internet when it released on July 15, 2016. On this episode of Shouts From the Back Row, Gill, Robin, and TK venture into the Upside-Down to talk about all the mysteries, memorable moments, and references to our childhoods. Click here to download the episode!